Researchers reconstructed the process of preparing wild barley into meal and flour some 12,500 years ago. A group of intrepid Israeli researchers recently went back to the dawn of the Stone Age to make lunch. Using 12,500-year-old conical mortars carved into bedrock, they reconstructed how their ancient ancestors processed wild barley to produce groat meals, as well as a delicacy that might be termed “proto-pita” – small loaves of coal-baked, unleavened bread. In so doing, they re-enacted a critical moment in the rise of civilization: the emergence of wild-grain-based nutrition, some 2,000 to 3,000 years before our hunter-gatherer forebears would establish the sedentary farming communities which were the hallmark of the “Neolithic Revolution”. The research team, consisting of independent researchers as well as faculty members from Bar-Ilan and Harvard Universities, conducted their study in the Late Natufian site of Huzuq Musa, located in Israel’s Jordan Valley. Their findings were published in the journal Plos Oneon July 31, 2015. Most investigators agree that cereal domestication was achieved about 10,500 years ago. The current work demonstrates how groat meals and fine flour were produced from wild barley, two to three millennia before the appearance of domesticated grains. According to Prof. Mordechai Kislev, an expert in archaeo-botany who is a member of Bar-Ilan University’s Mina and Everard Goodman Faculty of Life Sciences, the team’s field work resolved a long-standing mystery about thousands of cone-shaped hollows carved into the bedrock throughout the Southern Levant. Along with Eitam and Kislev, additional members of the team were physicist Adiel Karty and Prof. Ofer Bar-Yosef, a member of Harvard University’s Department of Anthropology. 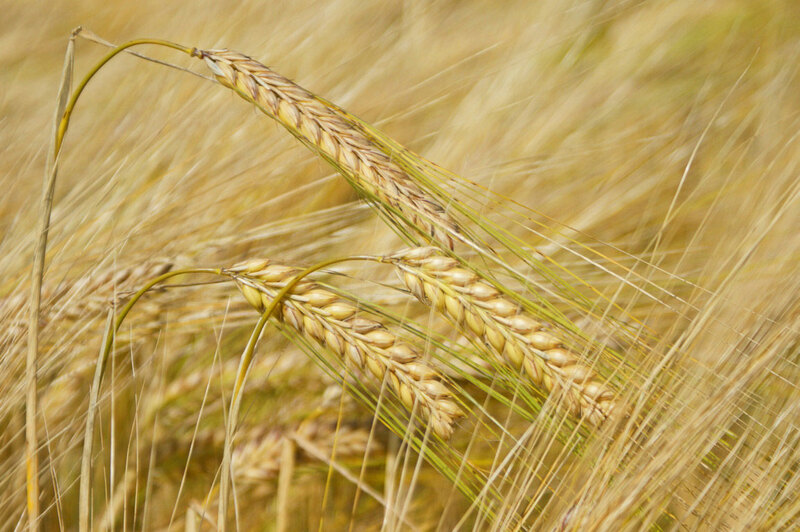 The experiment began by collecting spikelets – the coated grains of a cereal ear – from wild barley, the most common wild cereal in the Levant both in prehistory and today. After ripening on the ground to prevent them from scattering in the wind, the grains were then separated from the stalks, first by beating against the threshing floor with a curved stick, and subsequently, by sifting them through a large-holed sieve. After de-husking, the grain was scooped out of the conical mortar by hand then placed into a small cup cut in the adjacent bedrock. From there, it was transferred for filtering in a small-gauge sieve. Prof. Ofer Bar-Yosef, an emeritus faculty member at Harvard who is a world-renowned expert on the origin of modern humans and early farming societies in the ancient Near East, says that the current study complements nearly 80 years of investigations suggesting that the Natufians – although subsisting as a hunter-gatherer society – used sickles to harvest wild, almost-ripe cereals, and were capable of producing large quantities of groat meals from roasted, “half green” barley grain. Moreover, the technological advance from wide-to narrow-cone mortars represented a major dietary change, because de-husked flour made it possible to produce the fine flour needed for what has become the Western world’s most widespread staple food: bread. “With the development of a new agro-technological system, including threshing floors, peeling utensils and milling devices, the Natufians bequeathed to their Neolithic successors a technical advancement that contributed to the establishment of agricultural societies,” Prof. Bar-Yosef says. Prof. Kislev points out that the barley-processing “facilities” found at the site indicate that stone-utensil-produced flour could have been a significant part of the local Natufian diet. According to Dr. Eitam, the majority of scholars agree that Natufian culture was characterized by the first communities that inhabited permanent settlements. 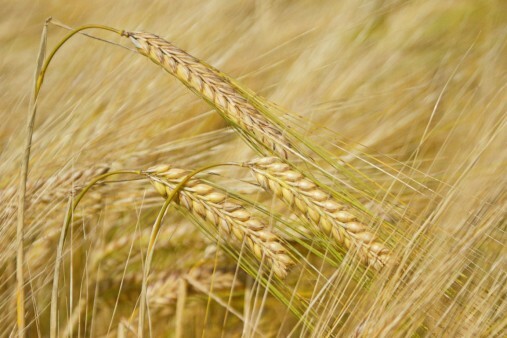 “Our discovery of this sophisticated agro-technological system indicates that Natufian society made the shift from hunting-gathering to an agriculture-based economy, which was possibly extant 3,000 years before the domestication of cereal,” he says.